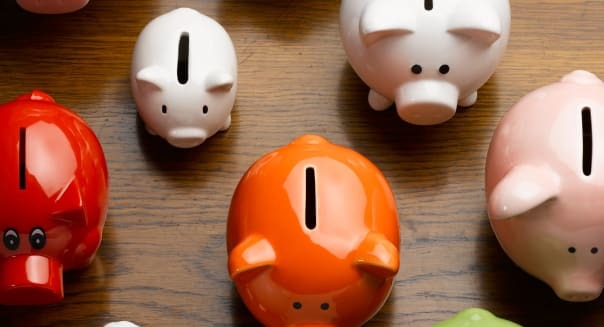 The California Public Employees' Retirement System recently announced that it was divesting all of the $4 billion in hedge fund investments in its portfolio. It is eliminating 24 hedge funds and six fund-of-funds. This decision marked a sharp change in the organization's investment philosophy. CalPERS started investing in hedge funds in 2002. For the fiscal year ended June 30, it paid a whopping $135 million in fees for hedge fund investments that earned a return of 7.1 percent. CalPERS has a "return goal" of 7.5 percent. The annualized rate of return of the hedge funds in its portfolio over the past decade was only 4.8 percent. CalPERS manages almost $300 billion in assets. To give you an idea of its size, it's larger than all but two companies in the Dow Jones Industrial Average (^DJI). When CalPERS talks, investors listen. You can learn a lot from CalPERS' decision to dump hedge funds. Hedge funds have long been the darling of institutional investors. They currently manage $2.6 trillion in assets. Consulting firm McKinsey & Co. projects that assets in alternative investments -- hedge funds, real estate and private equity -- will reach $14.7 trillion by 2020. According to a recent survey, the chief investment officer of hedge funds with assets of more than $1 billion had total compensation of $2.43 million in 2013. That's chump change compared to the ten overall highest-paid hedge fund managers in the same year.Their compensation ranged from a low of $600 million to an almost unbelievable high of $3.5 billion for David Tepper, who runs Appaloosa management. Hedge fund managers are paid from the unique fee structure that hedge funds impose upon investors. They typically charge 2 percent of assets under management, plus 20 percent of profits. The hedge fund industry justifies these compensation levels by claiming it must offer high pay to attract the most talented managers. The reality is quite different. Historically, the performance of hedge funds has been shockingly poor. The annualized returns of the HFRX Global Hedge Fund Index (which attempts to reflect the opportunities in the hedge fund industry) underperformed every major stock asset class, and even three Treasury indexes, for the 10 calendar years from 2004 through 2013. One large investor in hedge funds estimated 90 percent of hedge fund managers are overpaid. This disconnect between high compensation and high fees and poor performance is puzzling. One commentator noted: "The result is one of the more puzzling anomalies in finance -- the continued growth of an industry that for a long time has delivered miserable results for investors." If hedge fund managers who are paid tens of millions of dollars to beat the market have such a dismal record, what chances do you and your broker have of achieving that goal? Hedge fund managers supposedly are the "best of the best," and they are often referred to as "masters of the universe." In reality, they appear to be emperors with no clothes. They tout an expertise that doesn't exist and reap obscene fees generated from gullible investors. While there are some "winners," it's exceedingly difficult to identify them in advance. The inability of an organization like CalPERS, with its massive resources, to do so confirms this difficulty. CalPERS' wise decision to dump hedge funds should be a wake-up call for you. Your chance of beating the market by stock picking, market timing and mutual fund manager selection is certainly no greater -- and probably much less -- than that of CalPERS. Instead of engaging in these activities, which are more likely to benefit your broker and active fund manager than you, consider fundamentally changing the way you invest. Your focus should be on your asset allocation, which is the division of your portfolio between stocks, bonds and cash. You should invest only in a globally diversified portfolio of low-management fee index funds, exchange traded funds and other evidence-based funds. For many investors, capturing the returns of the global market would be a significant improvement over the historical performance of their investments. If it's good enough for CalPERS, it's probably good enough for you.